Why am I the last one to know about everything? Because I don't think I received the memo about shrubs. After listening to this podcast about them + then watching this video about them (side note, I'm obsessed with Whitney Adams), I knew I should probably make up for lost time. When I received a little bottle of chai pear shrub from Element [Shrub] in a Hatchery box, I knew it was on. Although making your own shrub isn't that difficult, Element [Shrub] has really awesome combinations: pineapple turmeric, cranberry hibiscus + honeydew jalapeño are a few. 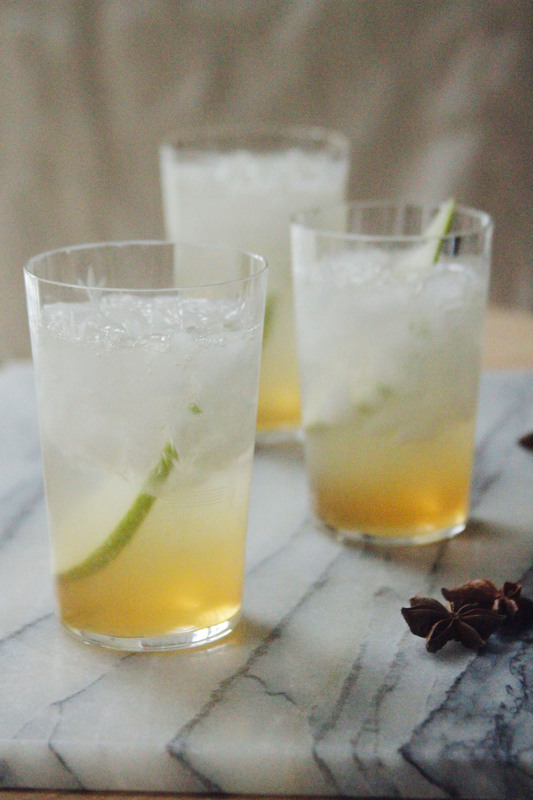 But I think chai pear is kind of perfect for this weird weather we've been having in New York. So here's the drink, a kind of compromise with the weather. 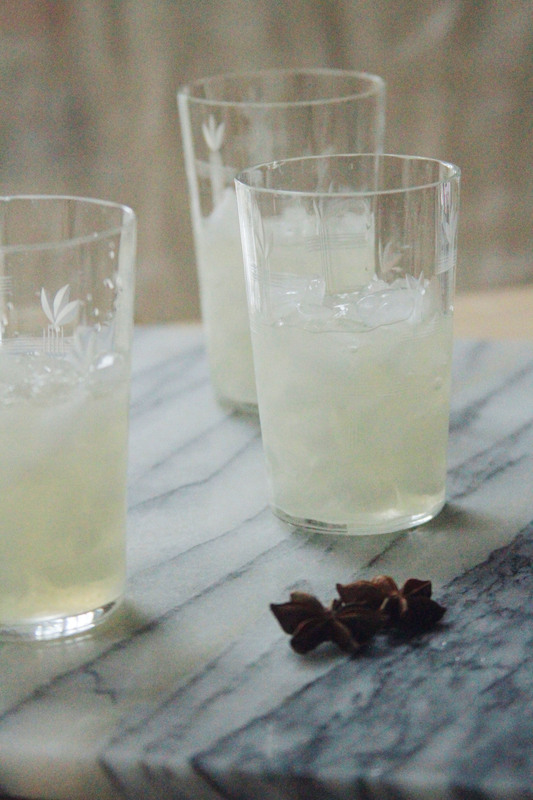 It's lips puckering sour with shrub + lemonade. If you're more into sweet things, be sure to add more sugar. Otherwise sip on. Combine the white sugar + lemon juice in a tight-sealed container. Vigorously shake to combine. Add the water, then vigorously shake the mix again. To serve fill each class halfway with the lemonade mixture. Add 1 tablespoon of the shrub. Top off each glass with sparkling water for some fizz. 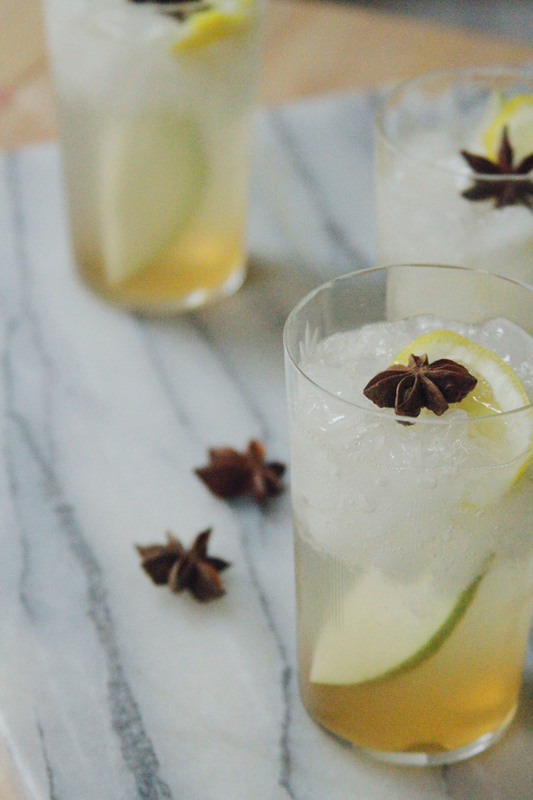 Serve each drink with a slice of pear, lemon peel, star anise or all three. Drink up.